Chase F. Robinson, currently president of The Graduate Center of the City University of New York and distinguished professor of history, will become the Dame Jillian Sackler Director of the Arthur M. Sackler Gallery and Freer Gallery of Art, effective Dec. 10. As director, Robinson will oversee 115 full-time employees and manage an annual operating budget of $23 million. Robinson, a highly regarded scholar of Middle Eastern history and culture, has served in leadership roles at The Graduate Center for a decade. He served as provost and senior vice president from 2008 until 2013, when he was appointed president. CUNY is the third-largest higher-education system in the U.S., and The Graduate Center is its hub for research and advanced learning for nearly 4,000 students, including 3,300 students in 31 doctoral programs. During Robinson’s tenure as president, The Graduate Center made major investments in the interdisciplinary humanities, social sciences and experimental sciences, and established itself at the forefront of digital learning and teaching. He recruited distinguished faculty, including the Center’s first Nobel laureate, put in place partnerships with a variety of institutions in the U.S. and abroad—most recently with the American University in Beirut—and greatly expanded public programming in arts, culture and public affairs. Robinson also led The Graduate Center to its highest levels of fundraising and sponsored research. 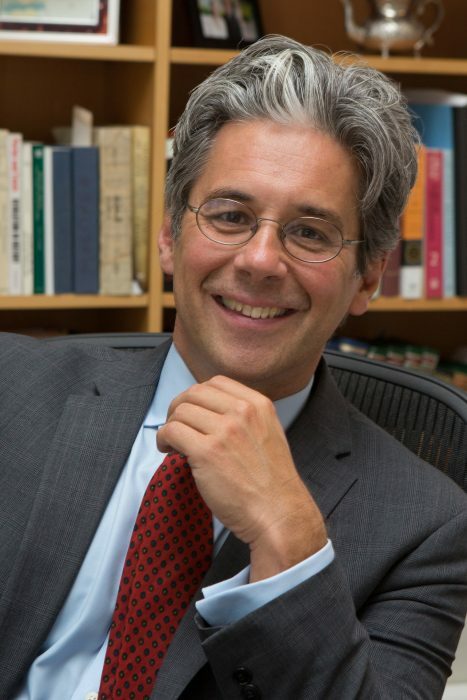 As The Graduate Center’s provost and senior vice president (2008–2013), Robinson led its first comprehensive planning process, secured funding to enhance faculty support and launched several initiatives, including the Advanced Research Collaborative and the CUNY Institute for Language Education in Transcultural Context. From 1993 to 2008, Robinson was a member of the Faculty of Oriental Studies at the University of Oxford, which offers degrees in the history, culture, politics and arts of East Asia, South Asia and the Middle East. He chaired its faculty board from 2003 to 2005. A scholar of Islamic history and culture, Robinson has authored or edited nine books and more than 40 articles that span the geographical and chronological breadth of the pre- and early-modern Islamic Middle East. They include A Medieval Islamic City Reconsidered: An Interdisciplinary Approach to Samarra (2001), Texts, Documents and Artefacts: Islamic Studies in Honour of D.S. Richards (2003) and the first volume of The New Cambridge History of Islam (2010). A recent book, Islamic Civilization in Thirty Lives: The First 1,000 Years (2016) was translated into Arabic and Portuguese. His most recent work is The Works of Ibn Wadih al-Ya’qubi: An English Translation (2017), a co-edited, three-volume set of translations of some of the earliest works of history and geography in Arabic. Robinson earned his bachelor’s degree from Brown University, having also studied at the American University in Cairo, the University of Cairo and the Hebrew University of Jerusalem. He received his doctorate from Harvard University’s Department of Near Eastern Languages and Civilizations. He is the general editor of Cambridge Studies in Islamic Civilization, a member of the editorial board of Past & Present and conducts research in several European and Middle Eastern languages. Robinson succeeds Julian Raby, who retired in December 2017. Richard Kurin has served as Acting Director of the museums since Raby’s retirement. According to Haberacker family lore, Becky announced to her parents after her first trip to the Smithsonian (around age 11 or so) that she wanted to work at the Institution someday. She has been a public affairs specialist at SI since 2002.